of creatives brought together under one roof to form one of the strongest Creative Hubs in the world. Characterized by smartly studied spaces carefully selected amenities for creatives from various sectors (including music, film, theater and performing arts, broadcasting, software & games, press, advertising, start-ups, design, architecture, literature...), HAUS OF BERLIN promotes combined synergies and collaborations via a structured community and strategy management. We aim to generate a fair community, welcoming both promising talent and well-established experts; all the while making sure our system is self-sustainable and entirely independent from requiring sourcing for external growth. 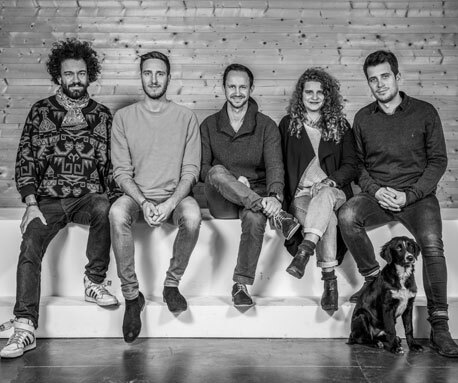 The founders Riverside Studios and uno Partner along with their prinicpal partner, Spreewerkstätten, have proven expertise in community management and architecture/space design and exceptional concepts; they have merited major achievements in music, exhibitions and art installations. Our first mission is to devise a solid network that would guarantee the right expansion of our concept and carry us to all corners of the globe. We have developed the basic foundations of our space and design, and we trust that by starting from the very heart of the city, we would achieve the desired impact. If you’re interested in our vision, please get in touch: info@hausof.berlin. With our previous achievements in community management and architecture, and the wide reach of our network, we are approaching this project from all angles: the concept, the demand and needs we are meeting, design and functionality as well as operations, communication and the sustainability. RIVERSIDE STUDIOS is a unique collective of renowned artists and professionals located in the heart of Berlin, by the Media Spree. The project spans 1600 square meters of state-of-the-art studios, common workspaces and multi-purpose areas, and gathers some of the biggest names in the music industry today. 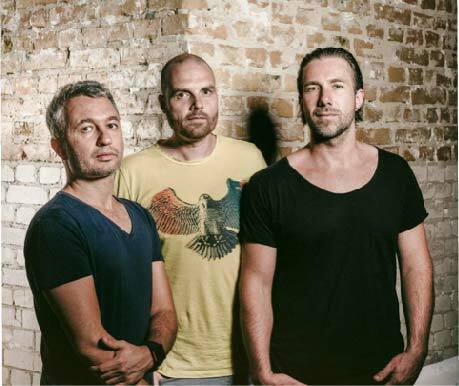 Riverside Studios is founded and managed by entrepreneurial artists Martin Eyerer, Jade Souaid and Tassilo Ippenberger. uno Partner is an architectural firm following a strong interdisciplinary approach in their working method. To push that approach and to allow synergies to rise at first stage, uno Partner grouped together with specialists in the field of energy-planning and HVAC-engineering in a common 400m2 open-space office in Zürich. uno develops projects in-house and within their network of partners ranging from urban planers to investors. 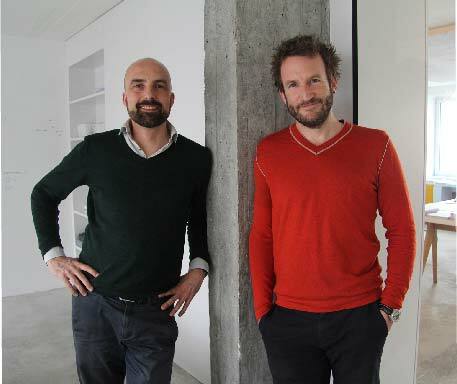 uno Partner is founded and managed by the architects and entrepreneurs Sebastian Schäffer and Florian Eyerer. Spreewerkstätten (SWS) is a comprehensive and interdisciplinary creative community based at the vibrant hub of the Alte Münze. It is a collaborative effort between creative artists of all levels, various art and music-event planners, and multicultural social start-ups. The community aims to implement multilayered cultural and creative economy projects by using and bringing life to the great spaces of this breathtaking historical area. The SWS collective always acts on its maxim of participation, collaboration and sustainability. In Berlin, there are 200,000 individuals currently working in the culture and creative sector, and this constitutes five percent of the total working force. With HAUS OF BERLIN, we are providing long-term studio spaces and offices for professional artists and creatives from different sectors. In addition, it will offer access to a range of amenities and the right environment to enhance creativity, exchange and collaboration in order to achieve a never-before-seen creative network. A common place for creatives, carefully selected group of companies, artists and players fitting together under one roof, reinforcing a vivid community through collaborations, promoted events and networking venues. More spaces for the creative industry, which is a demand we are facing constantly at our current facilities and complexes. A platform for talent and knowledge exchange. Facilitation of more projects that are self-sustainable and income generating. A meeting point for different industries. A solid network of strategic partners and key players leading to a natural expansion. Professional management that is capable of creating the right ecosystem to magnify interactions. Our experience at Riverside Studios speaks for itself. Diverse activities and programs. It will offer spaces for networking projects such as concerts, exhibitions, educational programs, library, convention center. Our partner SWS has already developed several events in the Alte Münze that have attracted different target groups as well as big brands. Reinforcing Berlin and Alte Münze as a Creative Landmark. Preserving the historical value of Alte Münze. A careful, respectful approach to the architectural monument and the completion of the site with a new building will transform the Alte Münze in a place with radiant power in the heart of Berlin! The coinage in Berlin is documented for the first time in 1280. In 1701, Friedrich III gave order to build the Königliche Münze, which changed its location within the city several times up to 1935, but was always built on the Spree due to the hydroelectric power. In 1935, with a few years of interruption by the war, the Deutsche Reichsmünze was built at its present location, but was not finished. It was not until 1947 that the minting company was incorporated into the newly founded VEB Münze Berlin. From 1952 the coins of the GDR were stamped. The baroque Palais Schwerin dating from 1704, which was integrated into the building ensemble in 1937, originally served as the administration of the Münzanstalt. As of 1953, it was used in the GDR by the Ministry of Culture. In 1980 the entire building complex was put under monument protection. From 1990 to 2002, the Deutsche Mark was coined and from 2002 to 2005 the Euro. Since then the coin production has been discontinued and takes place in new halls in Berlin-Reinickendorf. The Alte Münze Berlin’s building complex consists of various parts that clasp the U-shaped courtyard building. Originally a much larger ensemble was planned but was never finished due to the Second World War. The buildings on the East Side are not complete and are only limited by the newly built building of Wasserbetriebe Berlin. The court building, the production site for the coins, represents only about a fifth of the originally planned building. The Münze is predominantly characterized by simple and strictly structured plaster façades with natural stone walls. The building parts are brought together by a continuous, closed brick roof and thus appear as one single building. Only the Palais Schwerin with its baroque elements stands out from the otherwise rather sober but elegant architecture. The complex appears as closed to the outside and is only accessible via a few entrances or via a side street. This was presumably necessary for security reasons. The Münze has an unbelievable variety of large and small rooms, whith an industrial and used feel. The lower floor is filled with fascinating safes and labyrinth-like sequences. The cathedral-like top floor of the Passerelle is made of a unique arch-shaped concrete strtucture, also filled with visible concrete. Technically, the Münze is completely out of date and needs urgent refurbishment. The Münze is a monument with an industrial character and needs to be treated carefully. It is sturdy in its architecture, but fragile in terms of its grown charm. The Münze is supposed to rise to new shine without losing its identity. The perfect home for a Creative & Cultural Hub. The historic building stock is restored to the original state as much as possible by removing late attachments, reactivating hidden elements. A precisely placed new building completes the Alte Münze in terms of urban development and the utilization concept. Minimal interventions in the existing building and the sensible addition of a new building create the basis for the accumulation of the various uses under one roof and to transform the Alte Münze into „Haus of Berlin“. The Münze is ideal for the Haus of Berlin concept. The different room sizes in all the building parts allow a wide range of usages. 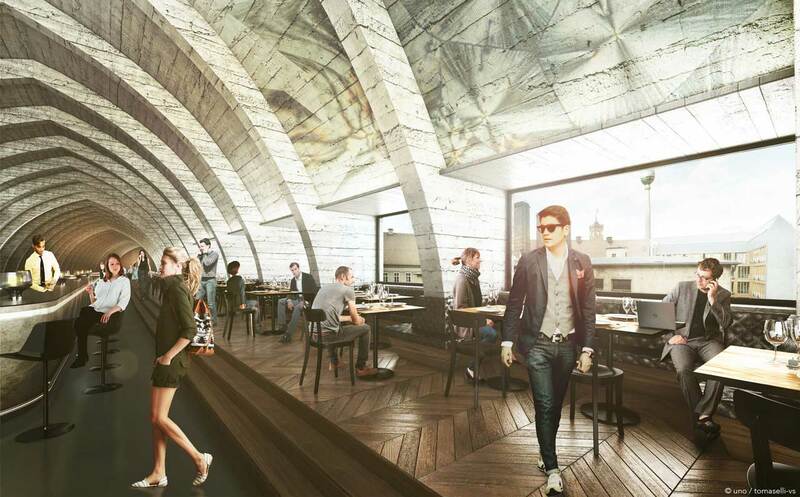 The upper floors can accommodate smaller to medium-sized offices in the creative and cultural sectors. The ground floor with its large rooms is particularly suitable for public uses such as gastronomy, exhibitions, concerts, theater and film shows, congresses, production workshops or educational use. The basement offers space for music studios, events, exhibitions and a lounge. A new building, which complements the courtyard building on its eastern flank enhances its usage. The Alte Münze offers space for around 300 jobs in its existing buildings, but with Haus of Berlin, up to 700 additional jobs can be created there. The goal is to set a new impulse in the state capital. Berlin is regarded as hip, cool, creative and on par with New York and London. With the location right by Alexanderplatz and an extensive history, the Alte Münze is a real landmark. The building complex emphasizes the importance of the project by its size, location and architectural features. 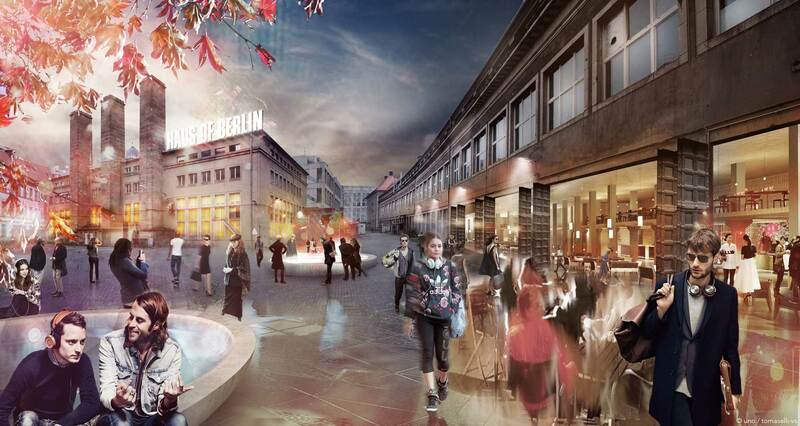 It is in line with the concept of creating a creative diversity and supporting the economy of Berlin. The project stands for multifunctionality, participation and collaboration. The success concept provides for a fair social mix of economic strengths as well as creative and high-quality tenants who are important for the overall concept. With the right strategy, HAUS OF BERLIN's network will extend beyond Berlin and Germany to different corners of the globe. It will expand itself in the creative capitals of the world to form one of the strongest creative hubs in the world. Our goal is to make HAUS OF BERLIN a reference brand name for creativity on a global scale, with a future that includes HAUS OF BERLIN New York, HAUS OF BERLIN Los Angeles, HAUS OF BERLIN Barcelona amongst many strategically-placed others. If the decision (1) is necessary for entering into, or the performance of, a contract between the data subject and a data controller, or (2) it is based on the data subject's explicit consent, the eisBER Multimedia GmbH shall implement suitable measures to safeguard the data subject's rights and freedoms and legitimate interests, at least the right to obtain human intervention on the part of the controller, to express his or her point of view and contest the decision.